A Dream Come True – Finishing the 2017 TCS NYC Marathon! Once over the top of the bridge, I got back into my run/walk rhythm as we made our way into Queens. Running through Queens wasn’t very memorable for me. I thought a lot about how this was the last time I’d be going over 13.1 miles for several years. It was in mile 14 that … More A Dream Come True – Finishing the 2017 TCS NYC Marathon! 3 Comments A Dream Come True – Finishing the 2017 TCS NYC Marathon! 2017 NYC Marathon Recap – Wait, this isn’t the NYC Half Marathon? When I left off, yesterday, I was on my way to the start line. 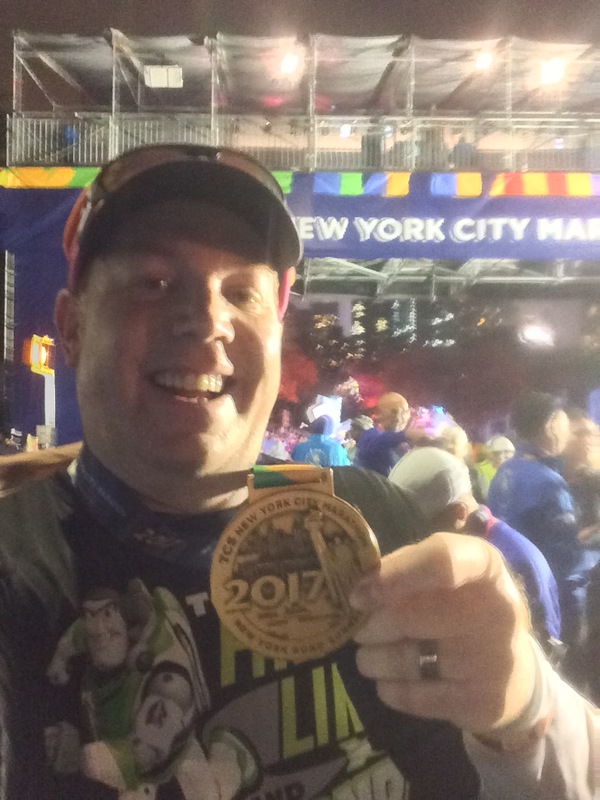 Leave a comment 2017 NYC Marathon Recap – Wait, this isn’t the NYC Half Marathon? Abbott Dash to the Finish Line 5K was Too Much Fun for Words! So, on the day before the NYC Marathon, I was up a little early to run in the Abbott Dash to the Finish Line 5K. I was pretty excited for this race from the moment I first heard about it. This run would serve as my final run before the big marathon. I took it … More Abbott Dash to the Finish Line 5K was Too Much Fun for Words! 4 Comments Abbott Dash to the Finish Line 5K was Too Much Fun for Words! Finishing Day 2 of My NYC Marathon Trip with Phantom of the Opera! So, after the Expo, I headed back to my hotel to drop off the merchandise I purchased. Then, I was back on the subway heading to Lincoln Center to get a tour. Leave a comment Finishing Day 2 of My NYC Marathon Trip with Phantom of the Opera!